We interrupt your regularly scheduled pork programming for a quick announcement: Congratulations to Porky and Porketta LeSwine for their newest litter (of one)! 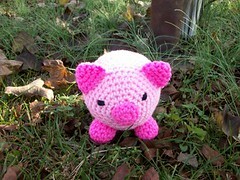 In a feat of evolution, they’ve given birth to a crochet piglet. Thanks! I thought it was a pretty good post, if I do say so myself.